Having trouble finding the best induction-ready cookware sets for your induction cooktops? You’re not alone. For various reasons that span from easy operation to faster cooking, less power consumption and many more, induction burners are now getting more and more attention and use in our homes. A lot of people already know that only induction-ready cookware sets can be used on this high power-efficient induction cooktops. Shopping for this induction compatible cookware may seem a little tricky. We’ll explore all the diverse areas as regards this in this Top 10 Review of the Best Induction Cookware Sets. Get ready to sharpen your knowledge as we proceed on this exciting learning and shopping trip. Sit back, read on and let’s do some learning. How do I know if a Cookware is an Induction ready Cookware? Which is the best induction cookware? Owning an induction burner is half the equation as you’ll need to have induction ready cookware to utilize and enjoy the excellence of induction cooking. Although you’d most likely want to get new sets of induction cookware to complement your cooker, it is also likely that some of your previous set of cookware are induction-compatible. You could as well use one of these two ways to ascertain this when buying new sets or when you’re trying out your previously owned cooking sets on your new range. The first method you can use to detect whether a particular cookware is induction-ready is by placing a magnet under the cookware. Induction cookers work through electromagnetic interaction between the copper coil placed beneath the cooktop and the magnetic base of cookware to generate current directly inside the cooking pot. For this reason, induction cookware often has bases that are magnetic and would hence attract a magnet. The second method is by simply trying out the cookware for cooking. You could pour in a few cups of water and place your cookware on your cooktop. If the induction cooker starts flashing on the display, it is then apparent that the cookware under testing is not an induction-ready set. Induction cookers cook very fast and are easy to use and operate. Those are just two of the numerous reasons why the allure of an induction cooker with corresponding induction compatible cookware may seem enticing. One very important reason why you should need induction cookware and induction cookers is that they could be easily regulated and controlled just like gas with great precision. One other advantage of the cookware and the cooktop is that there is no wasted heat. With traditional cookers, thermal energy is passed over from the element to everything around the range and the kitchen may even get hot at times while cooking takes place. Because the energy exchange only takes place between the inner part of the cookware and the copper coil under the cooktop, induction cooking results in no energy wastage. 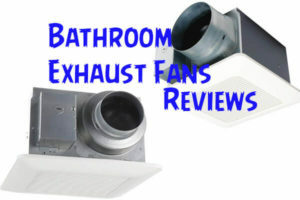 There is maximum energy efficiency due to less heat dissipation. We’ve carried out extensive research and will definitely provide readers with our top ten recommendations but before then, we’ll discuss a few things that centers around how to choose the best induction cookware sets as well as a few things that one may need to consider when shopping for the best induction ready cookware. 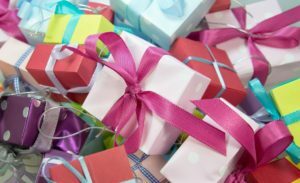 Read on and let’s take you through some of these awesome shopping tricks and tips. Now, we’ve discussed earlier that the magnetic field generated by the cookware and cooktop is the current responsible for cooking the food substance. This implies that your cookware should be either iron or an iron-based material such as steel. 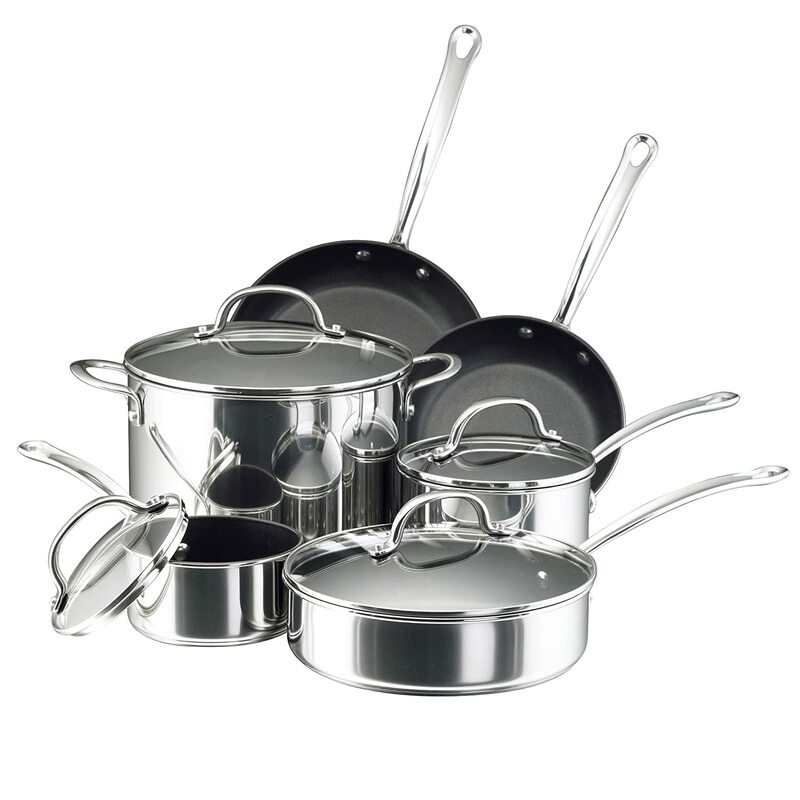 The most common induction compatible cookware sets are made from stainless steel, carbon steel as well as cast iron. Nevertheless, it is not uncommon to see non-stick aluminum pots as well as copper-based cookware which seem just as nice as their iron and iron-based counterpart. Our review has covered several types of cookware in different categories depending on what you need. These cookware sets are known for their durability as well their ability to handle anything from pickling to pasta sauce. These uncoated steel pots ensure rapid and even heat distribution. They are also often dishwasher and oven-safe and so can be easily cared for. Although they may appear tough to clean on some occasions, they are great for browning and braising. The All-Clad Induction Cookware is a common example of a superb stainless steel induction cookware loved by many chefs around the world. The Duxtop Induction Cookware is another superb low-cost option that can take most things you’d throw at it. The nonstick induction cookware sets are super-easy to use and clean as they’d easily release the most delicate foods including eggs and pancakes. 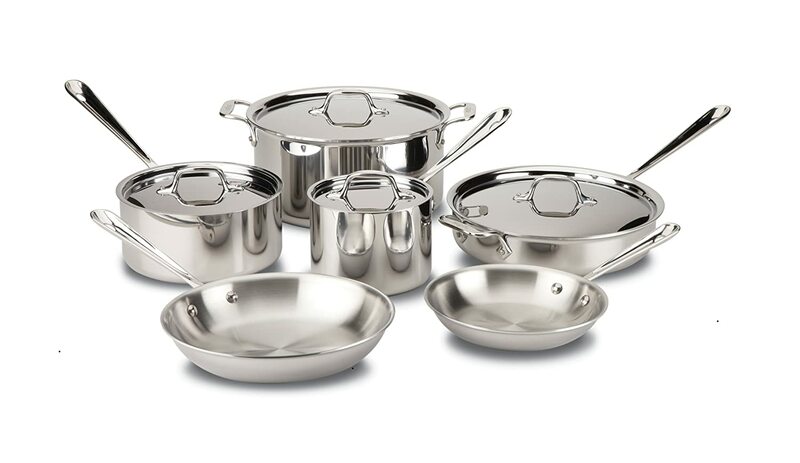 These cookware sets need little to no oil and so are a great choice for low-fat consumption. Although many of these pots support use with metal utensils, you’ll still be careful to avoid scratching or gouging the non-stick surface material though. Depending on the handle, they may be oven-safe or not. 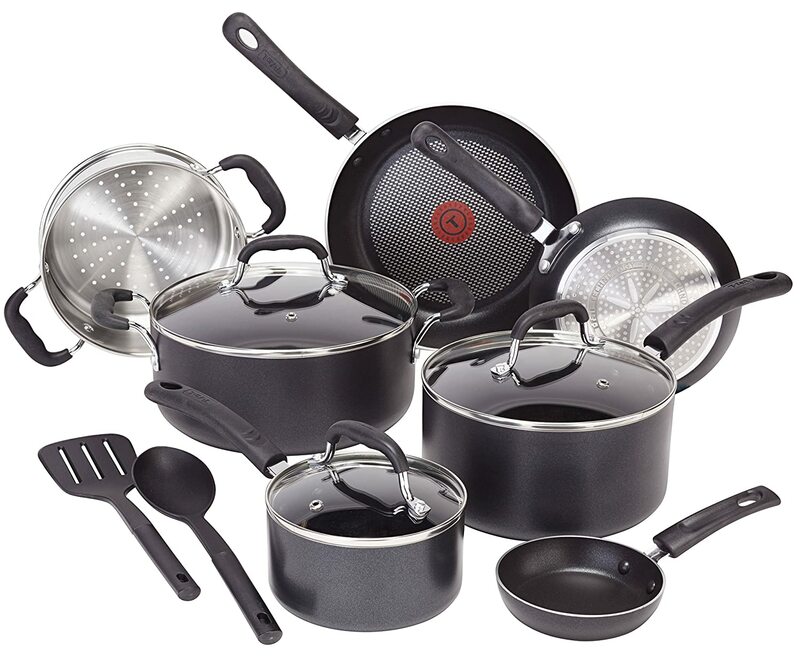 The T-fal C515SC Induction Base Cookware Set is a popular non-stick induction cookware. Cast Iron has been around through the ages with a history and reputation as one of the most affordable yet reliable kitchenware. Cast Iron wok as induction cookware for induction cookers is affordable and non-stick by nature. Although they may seem pretty heavy, they can be used to avoid food sticking and would work with most other cookers like induction oven, gas and much more. Enameled Cast Iron, on the other hand, is great for cooking acidic foods. This is because the liquid inner part of these foods will often be released during cooking. This release is known to be tough on the seasoned layers of cast iron induction cookware. This problem though can be solved when using enameled cast iron. Just the same way we found cast iron-based induction cookware to be affordable and non-stick by nature, the same is true for the induction-ready carbon steel cookware. These are cheaper than most other magnetic cookware and are non-stick without any industrial method. The advantage this has over iron-based kitchenware though is that they weigh less than cast iron wok. Copper is a better heat distributor compared to aluminum and steel. Copper induction cookware is made by sandwiching the copper core in between aluminum or stainless steel. This ensures even heat distribution resulting in even cooking. This nevertheless pushes up the price and copper core pans appear to be costlier than some other cookware stuff. While you may be surprised about some stoneware being induction-ready, it is nothing but the truth as these are as efficient as the cast iron cookware. The standard stoneware comes with high-price warranties and their durability is beyond doubt. This cookware looks elegant and beautiful with the speckled texture and all. Graniteware is cheaper than stoneware though the same cannot be said of their durability. These could be seen as short-term solutions for induction cooking. The reason is that they are made from a thin sheet of steel that deforms and loses its porcelain coating in a gradual process. Regardless of your choice of cookware, we’ve got some pretty nice cookware recommendations you’d like to see. Before that, let’s check out some of those things that are important to consider in an induction cookware while shopping for same. The first step in purchasing an induction-compatible cookware is choosing the specific type you want. As shown above, you can choose from either of the iron-based, stainless steel, copper or stoneware models as well as from the other types. This choice though will influence other factors such as pricing and weight along with durability and a few extra features. Iron-based cookware is affordable and non-stick. Stainless steel is lightweight and makes for even cooking. Carbon steel is great for cooking acidic foods. Pricing, as well as the types of food you’ll find yourself cooking on most occasions, are some of the most important things you may have to consider before making your purchase. Along with other features that may include the non-stick nature, the weight, and a few others, these will help you to easily find your perfect fit of the best induction cookware for your cooking needs. 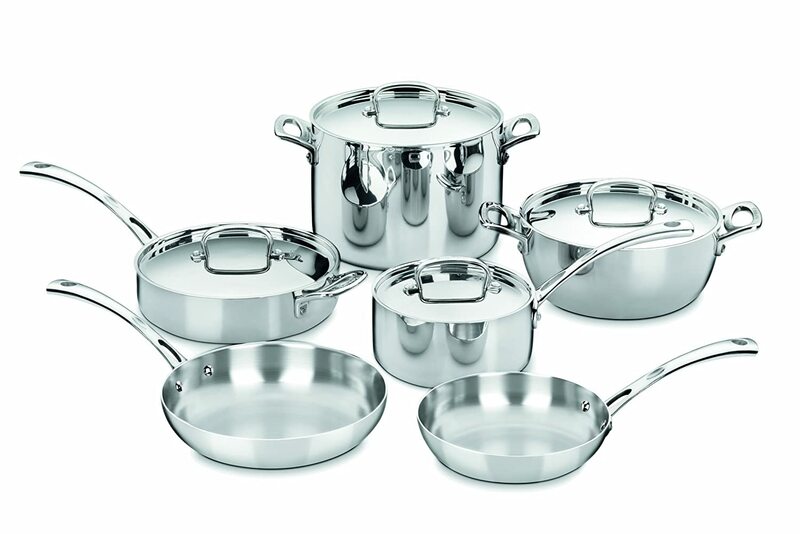 Regardless of personal cooking choices that will mostly determine whether some certain sets of cookware will easily fit into your cooking habits, there are still some of those really great products out there that are highly guaranteed to meet most of your cooking needs and at times even beyond your expectations. After a thorough research and review that involved several meetings with different consumers as well as both professional and home chefs as well, we bring to you a top ten recommendation as regards the best induction cookware. Starting from the Duxtop Induction Cookware, we present to you some of the best induction compatible cookware available in the market today albeit in no particular order. This Duxtop Induction Cookware Set is one of the most loved induction cookware sets on the market today. The set was built using a standard 18/10 commercial grade stainless steel which has been further improved with an impact-bonded aluminum base. The Duxtop Induction Cookware Set is perfect for induction cooking as well as other cooktops be it gas, electric, infrared as well as radiant glass cooktops. The set is both dishwasher and freezer-safe. When you need this to be used in an oven, it is safe as well and will safely take as much as 550 degrees Fahrenheit without issues. The handles are ergonomically-shaped and sport an anti-slip finish to ensure it remains safe throughout its handling during your various cooking sessions. You’ll find in the set 8 and 10-inch frying pans as well as two saucepans along with a casserole, each with their various lids. The pricing, though still in mid-range may seem an issue to people with a really tight budget. If you find yourself shopping in a similar situation, a cheaper and more affordable alternative is the 10-Piece Duxtop Whole-Clad Induction Ready Cookware Set. This great product still has great qualities synonymous with Duxtop Cookware despite retailing at a cheaper price. The Circulon Symmetry 11-Piece Cookware Set is another excellent product that does not struggle to be featured in our review of the best induction cookware. This Circulon Induction Cookware features a heavy gauge hard-anodized aluminum construction along with an impact-bonded stainless steel base that made it a solid option for induction cooking. The set also features a distinctive three-layer non-stick material. The non-stick material is designed to withstand chipping, scratching and stains and has raised circles that help the food to slide off easily when it’s time to eat. The cookware set comes with lids that are shatter-resistant and able to lock in heat and moisture with its stainless steel rims. The set is both dishwasher and oven safe to a temperature not higher than 400 degrees Fahrenheit. This is another great cookware set from one of the best brands in the market. This All-Clad cookware sets are induction ready and are loved by professional chefs and lots of women who need the best induction cookware sets for their kitchen. The set incorporates a three-ply bonded construction alongside an aluminum core. This ensures that cooking is fast and heat is properly distributed. The cooking surface is polished and non-sticky which makes it both sleek and easy to use. The set is hard-anodized and you don’t ever get to worry about the cooking pot reacting with the food. Each piece in this set is dishwasher safe and will take up to 600 degrees Fahrenheit in heat when used in the oven though this does not include the lids. Three-ply bonded construction with an aluminum core encapsulation which impacts the stainless steel cookware set both for durability as well as fast and even cooking. Stainless steel handles which are contoured and permanently secured with stainless steel rivets. This ensures you get a great and comfortable grasp although the handle can also get hot at times. The polished surface with a starburst finish means the cookware has a surface that is both stick-resistant and non-reactive. This helps with cleaning and maintenance of the set. 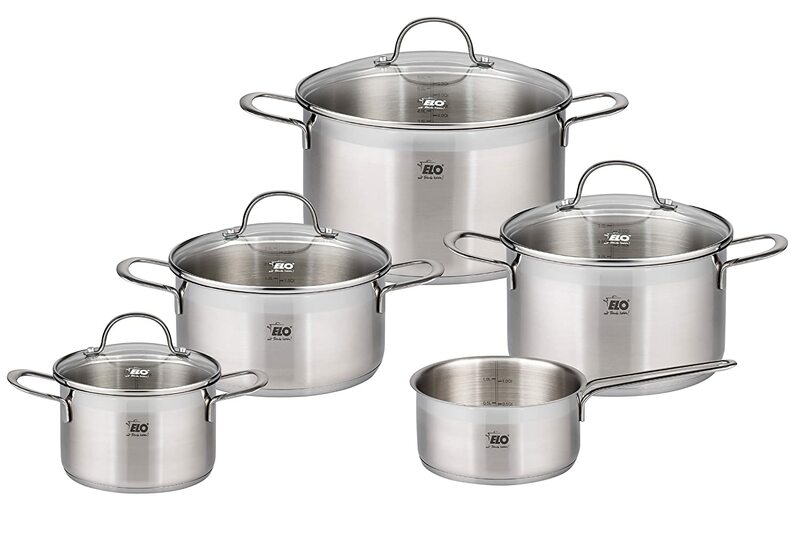 The ELO Top Collection Stainless Steel Cookware Set makes the next entry into our review of the best induction cookware set for major reasons that center around a great and excellent balance of value and quality. This affordable cookware set retails for a little more than $50 and is one of the most affordable sets to be featured in our review. Starting with the build, the alluring stainless steel set has each piece made from an 18/10 stainless steel. Each set has a straight form rim for pouring and the lids are made with shock-resistant glass materials. Inside the sets, each piece features an integrated measuring scale along with a proportion system that ensures the even distribution of heat. The sets are dishwasher safe for easy cleanup and can be used on other cooktops aside from induction cooktops. The ELO Induction Cookware Set is constructed from 18/10 stainless steel and comes with a proportion system to ensure even distribution of heat. Integrated measuring scale inside each piece in the set helps to solve your measuring problems to get the right amount of every food you’d want to cook. Shock-proof glass lids do not come with ventilation but are made from shock-resistant glass materials to withstand sudden changes in temperature or prevent breakage in case of light falls. Easy use and friendly and ergonomic design of the heat-reducing stainless steel handles, as well as the dishwasher safe features, ensures that use and cleaning of this induction cookware set are super easy. Versatile cookware set can be used on other cooktops despite being an induction-compatible cookware. 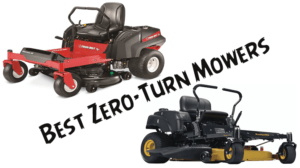 The German-manufactured set is durable and comes with a 4-year warranty of trust and reliability. If there is a brand name a lot of people like to trust in the kitchenware manufacturing industry, then T-fal is that name. with lots of products that spans lots of different areas that include cookware, cooktops, air fryers and much more, T-fal is one force to reckon with. This is no doubt because of the consistency and quality that the company inputs into their product. In comes the T-fal C515SC Induction Base Cookware Set which to us and a lot of other experts and consumers with great knowledge and experience is one of the best induction cookware set to ever hit the market. When something from a reliable brand comes along with great affordability and value, then you’d surely expect such to be popular amongst users and such is the same for this T-fal Induction cookware. One distinctive feature of the T-fal C515SC Induction Base is the T-fal thermo-spot indicator in the center of the pan which lets you know when the ideal preheating temperature has been met. The set comes fitted with riveted silicone handles which seems comfortable and cool even when the cookware is in action. The dishwasher-safe set is also oven-safe and will withstand up to 400 degrees Fahrenheit. The stainless steel construction of the induction base makes it suitable for use on induction cooktops. The set is scratch-resistant, non-sticky, durable and compatible with metal utensils. The T-fal Thermo-spot indicator in the center of the pan helps you know when the adequate preheating temperature has been met. The Stainless steel induction compatible base is designed to work nicely for other non-induction cooktops as it does for induction cookers. Easy-to-use design that features cool and comfortable silicone handles as well as dishwasher and oven-safe features make use and cleaning of the cookware set easy and superb. The PROMETAL interior makes use with metal utensils less problematic. This interior is also non-stick for easy cleaning and usage. Glass lids with vents making it easy to watch and monitor your progress as the food cooks. This is another great product that made it into our Top 10 Best Induction Cookware Reviews because of its efficiency, simplicity, and affordability. The ceramic non-stick induction compatible cookware set contains seven pieces of great cooking essentials one of which is a large 12-inch hard-anodized fry pan. The coating on each of this set is non-stick and the set is safe for the oven at up to 475 degrees Fahrenheit. When you need a cookware that is free from harmful chemicals such as PFOA and PTFE, this Nuwave Induction Cookware Set should be your go-to option. The handles are cool and make cooking and handling very safe and less-prone to burns and accidents. Versatility and compatibility of the cookware with both induct and non-induction cooktops make it one great value adding investment to your kitchenware sets. Stainless steel pots along with aluminum fry pans are combined to provide consumers with quality at a reasonable price. Dishwasher and oven-safe features make the induction cookware set super easy to use, clean and maintain. Non-stick interior contributes to the ease at which you can cook with, clean and maintain the Nuwave Induction Cookware Set. 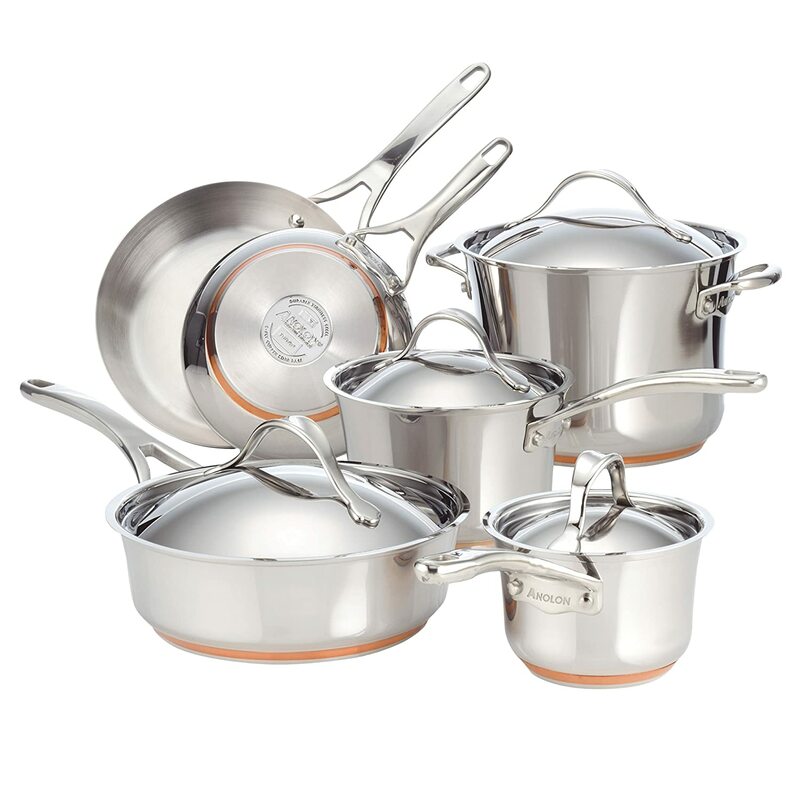 The Cuisinart French Classic Tri-Ply Cookware set sets the standards for others to follow. This perfect creation promises a great even heating mechanism as well as a smart, sleek and attractive build in one of the world’s best induction cookware sets. A sturdy construction, a sleek and alluring design as well as great functionality and performance has given this induction-ready cookware set an edge over many other cookware sets currently available. A sturdy and durable construction from the industry standard 18/10 stainless steel otherwise known as the marine grade steel gives the cookware a sturdy build with excellent reliability and durability. Tri-Ply Stainless Steel for even cooking ensures that heat is properly distributed without too much concentration on a hot spot zone. This means there will be less incidence of food burning, sticking or darkening although this may still happen if the right heat setting is not properly set by the cook. Versatility and elegance in its abundance from the very great looks of the Cuisinart French Classic 10-Piece Cookware Set along with an abundance of essential cooking equipment make this one of the best induction ready cookware of today. Induction-compatible, as well as compatibility with other cooktops such as ceramic glass tops, gas oven, electric stoves and lots, more contributes to the great versatility and flexibility of the Cuisinart French Classic Tri-Ply Induction Cookware. 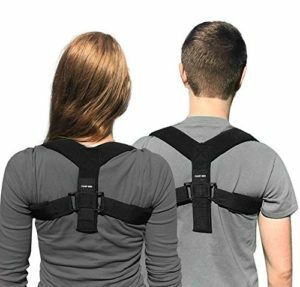 The long panhandles with riveting joints are designed to offer great comfortable grasp and handling. These handles do not wear off after constant use a seen in some other brands. They also come with a top-notch design which further improves the handling and safety while cooking with the set. Snug fitted lids along with dishwasher safe features ensure that use and cleaning, as well as the maintenance of this cookware, is super easy and trouble-free. The marine grade steel ensures you won’t have issues with rusting throughout the long useful life of the cookware set. This Faberware Induction Cookware Set is another option we recommend for the great qualities and performance along with its modest pricing which makes it easy to fit into most budgets regardless of how tight such can be. 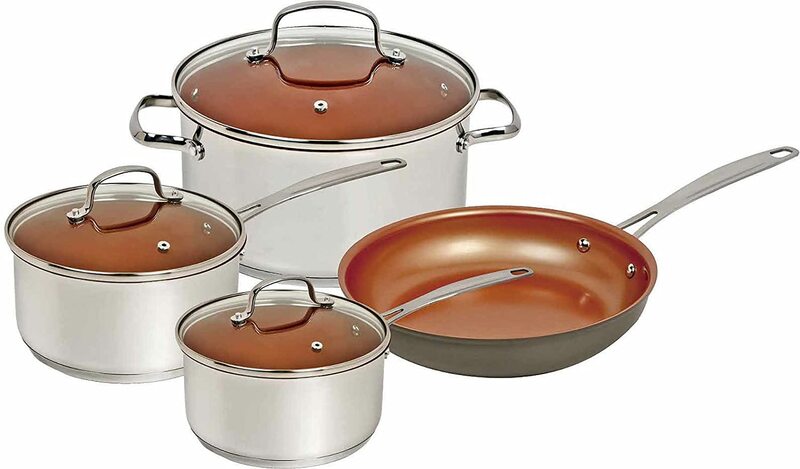 The set comes with 2 pcs of Faberware saucepans of 1qt and 2qt capacities, a 3qt sauté pan with glass lid, 2 pcs of 8-inch and 10-inch Faberware skillets and 1 8qt stockpot with a glass lid. Even cooking results from the pan’s excellent use of a solid aluminum core encased in stainless steel. This ensures even heat distribution to generate evenly-cooked foods. Sturdy and durable Construction of stainless steel to offer users a lengthy lifetime despite the cheap price, the pan also has this silky feel on the exterior and has a mirror-like finish. Non-stick durable surface material prevents food from sticking to the pan’s interior. This enhances easy cleaning and healthy cooking. The Metal Safe feature is done with a Teflon coating with Metal Guard to offer scratch-resistance properties. This could still get scratched though if pointed metal utensils are used in a careless manner. 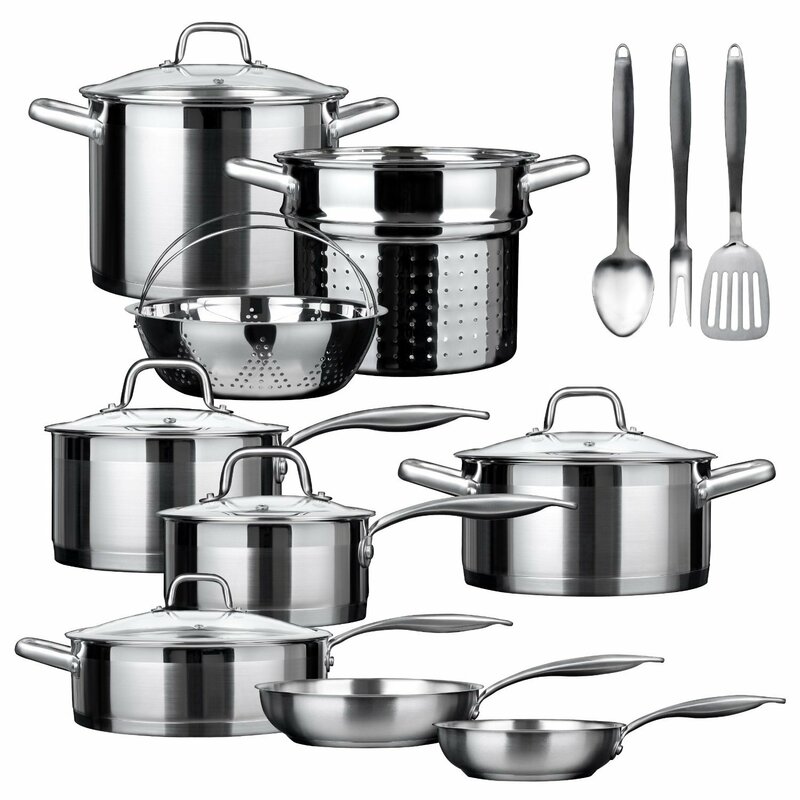 User-friendly design such as the dishwasher-safe feature, up to 500F oven-safe use a well as the Metal Safe and non-stick interior makes this Faberware Cookware Set a delight and joy to use. Cleaning and maintenance are also easy as it is with the usage. Lucid tempered glass lid enables you to monitor and watch your food while cooking. The lid is also designed to lock in heat, moisture, and flavor resulting in a healthy and delicious end result. Induction-ready performance for use on induction burners as well as on other cookers such as ceramic glass tops, electric stoves, gas oven, etc. Portability, optimal functionality and value as made the Magma Nesting Stainless Steel 10-Piece Cookware one of the best induction-ready cookware sets available for induction cooking. Whether you’d be going on an adventure or whatever, in as much as you’d need a portable cookware set that you can easily fit in your luggage, this USA-made product which has been the recipient of two prestigious awards is your best bet. 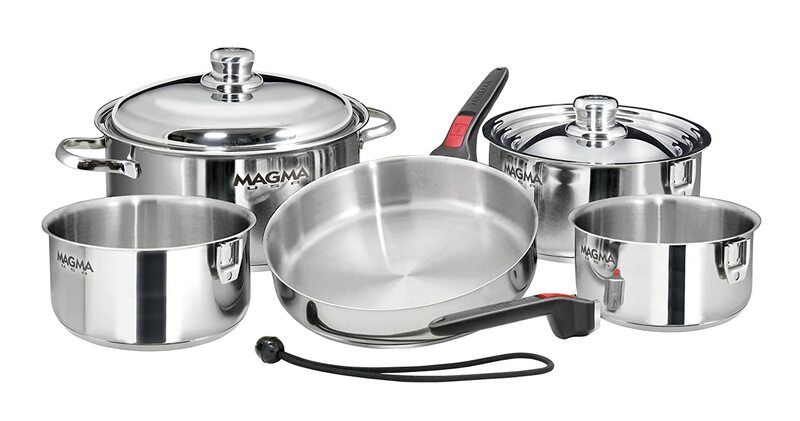 The set comes with 3 pcs of Magma saucepans of 1.5qt, 2qt, and 3qt. Others in the package include a pc of 5qt Magma stockpot, 1 pc of Magma sauté pan or a frying pan of 9.5-inch diameter, 1 lid for use with all the saucepans, 1 lid for use with sauté pan, fry pan and stockpot, 2 pcs of removable handles and one storage cord. Sturdy and durable build from an 18/10 Stainless Steel construction which will last for decades and withstand warping and breakage regardless of whether it is used regularly or occasionally. Compatibility with all types of cooker due to the tri-clad base design of the Magma Nesting Cookware, the pan has a base of aluminum layer encased by two layers of 18/10 stainless steel. This makes the set suitable for use on gas ovens, electric stoves, ceramic glass tops as well as on induction cooktops. Even heat distribution made possible by the tri-clad composition of stainless steel, aluminum, and magnetic stainless steel. The flat bottom design also ensures that the positioning on the cooktop encourages even distribution of heat to ensure a properly cooked food with the proper taste, color, flavor, and value. Easy to wash because of its dishwasher compatibility, interchangeable handles also enhance the ease of use and portability of this product which has made it the choice of many chefs around the world. Quality, durability, and great looks are what made the Anolon Nouvelle worthy of a place on our list of the best induction cookware reviews. The benefits of using the copper core for cooking is great. One of such is the even distribution of heat throughout the pot which eliminates the risk of hot spot zones which may not be good for the food being cooked. This quality is natural since copper is one of the best conductors of heat. Despite these great benefits, the possibility of copper to react with the food being cooked makes its use problematic. But all thanks to Anolon, the impact-bonded technique using the tri-layer combination of two aluminum layers with a middle core of copper ensures we can get the best of both worlds. This combination is one superb innovation that has made the Anolon Nouvelle Cookware set one of the best induction cookware loved by many people all over the world. Impact-bonded technique for optimal heat distribution, this technology of a tri-layer combination of aluminum, copper core and magnetic aluminum ensures that heat is properly circulated throughout the cookware. This technology also prevents the copper core from reacting with the food, a common issue with copper cookware materials. Versatile performance of the Anolon Cookware Set is awesome. The set is one of the best induction-ready cookware while still being safe and efficient for use on other cooktops. Elegant design, build and looks. The Anolon Nouvelle’s durable and sturdy build along with the smart and elegant look of the cookware makes it an alluring piece of cookware that will no doubt add to the aesthetic beauty of your kitchen area. That’s apart from the very excellent blend of technology for optimal performance though. Scratch-proof interior sports a brushed finish which makes the cookware perform excellently well as your food does not stick or burn unnecessarily. This also does not compromise your ability to use metal utensils with the cookware. 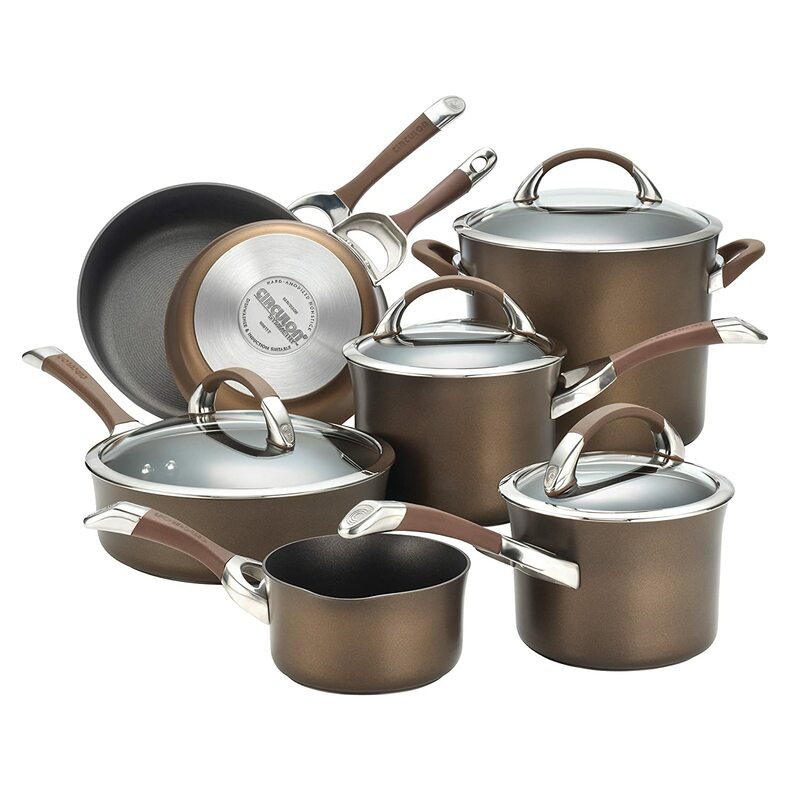 Limited lifetime warranty comes with the Anolon Nouvelle Cookware Set. If the cookware gets the needed care and maintenance, chances are high that it will serve you delicious meals and cater to you for the whole of your lifetime. We’ve gone through some of the best brands and models of induction-ready cookware available today. Names such as the All-Clad Induction Cookware, Duxtop Induction Cookware, Circulon Induction Cookware as well as the affordable Farberware Induction Cookware Sets evoke respect and admiration when they are under consideration. These and all other members of the Top 10 Best Induction Cookware Reviews list are great for optimal efficiency and use for induction cooking. These promises much more value as you can even use most of them on other cooktops such as gas ovens, electric stoves and much more. Your induction cooker needs the best induction cookware for you to enjoy optimal cooking that this technological innovation was designed for. After going through our guide and the review, it will do you much good to choose from any of these top ten recommendations. This will save you the hassles of having to check through every available induction-ready cookware in the market, an exhaustive procedure that may leave you stressed out and frustrated in the end. You can start enjoying your induction cooktops today after getting the best cookware for your kitchen. We wish you a happy cooking time ahead! Have fun, healthy and stay good!